When I think of butterflies I think of spring, warm weather, and color popping out everywhere after a long winter (I can’t wait!). 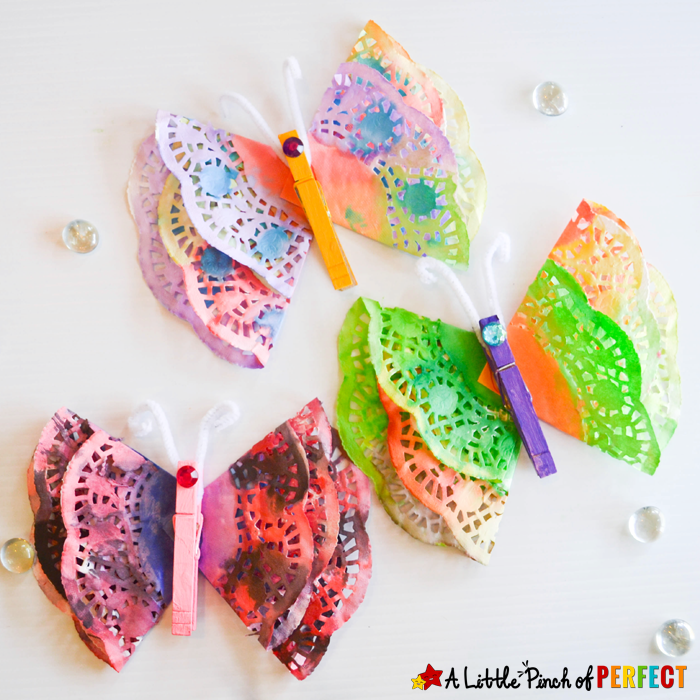 Since we have extra doilies from our Valentine’s Day Heart Craft and I have two kids who love butterflies, painting, and crafting I figured we should use them to make some lovely lacy butterflies and now I have butterflies fluttering around my house right now with two cute little kids in control. As much as the kids loved making their butteries they have enjoyed flying them around the house and making up stories and adventures for their mommy and baby butterfly. The role of mommy is always played by Little Tiger and the role of baby is played by Little Dragon. It’s funny to see and hear my son talk like a baby and my daughter mimic me as she pretends to be mom. I originally thought of this as a craft but maybe it should be more of a pretend play activity–your kids can decide :). 1. 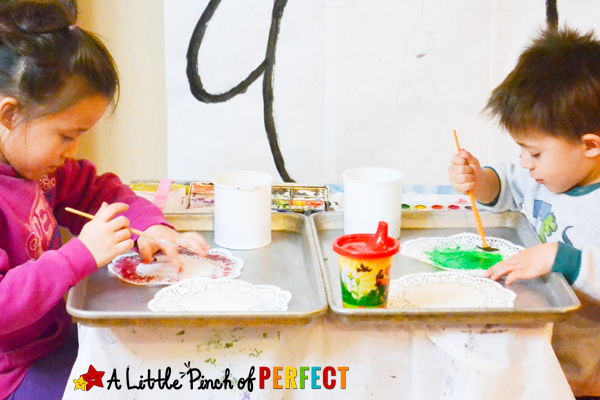 Have child paint doilies with water color paints and set them aside to dry. One of my kiddos brushed the paper doilies too hard and tore a hole in one of them so before your kids start painting I recommend letting them know they should paint softly because wet paper becomes easy to rip. 2. 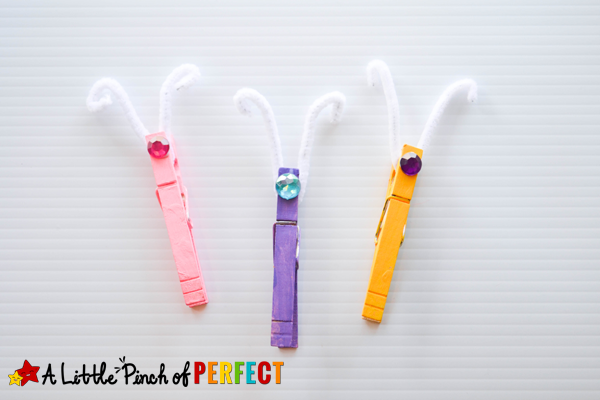 Have child paint clothespin with craft paint and set aside to dry. Once it’s dry cut a pipe cleaner in half and glue to clothespin for the antennas and a craft gem to the clothespin for the butterflies face. 3. 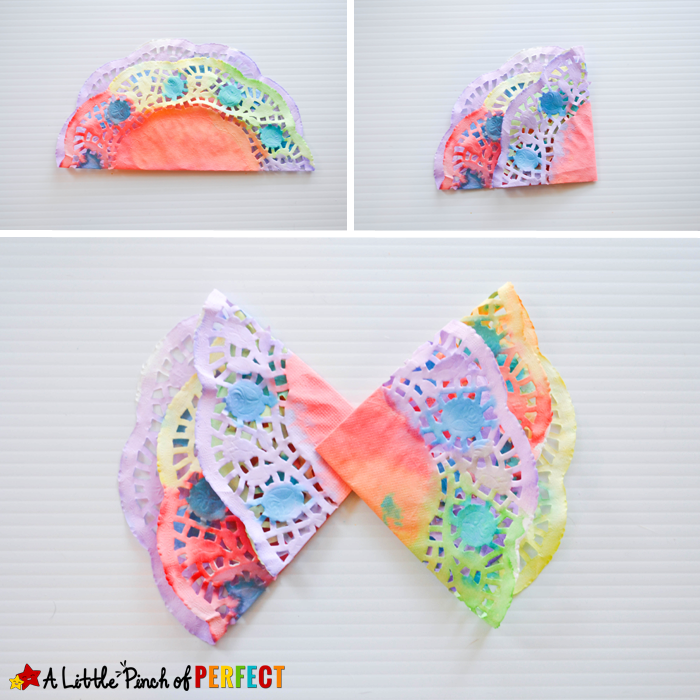 Fold doily in half (like a taco) and in half again (like a piece of pie). We made the second fold slightly below the half way point so more of the edge of the doily could be seen. 4. 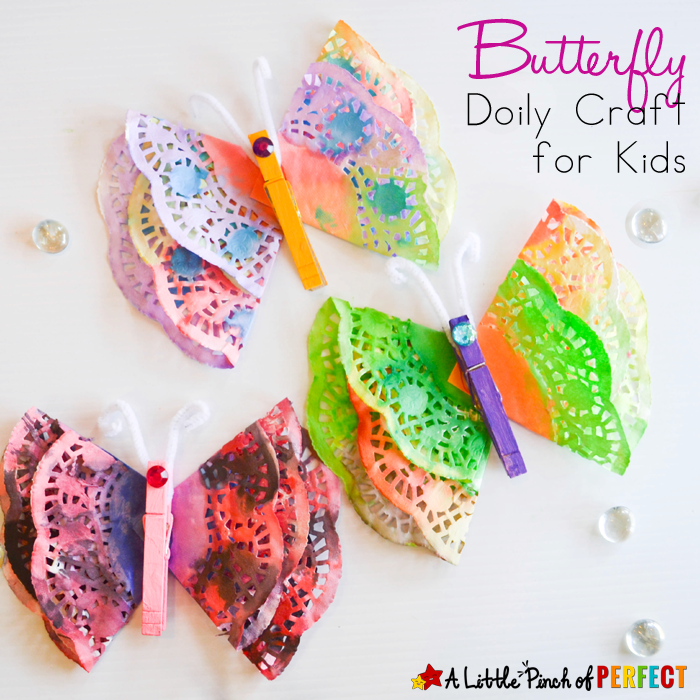 Glue wings to the back of the clothespin and once it’s dry the butterfly is ready to be hung or played with :). I love this!! 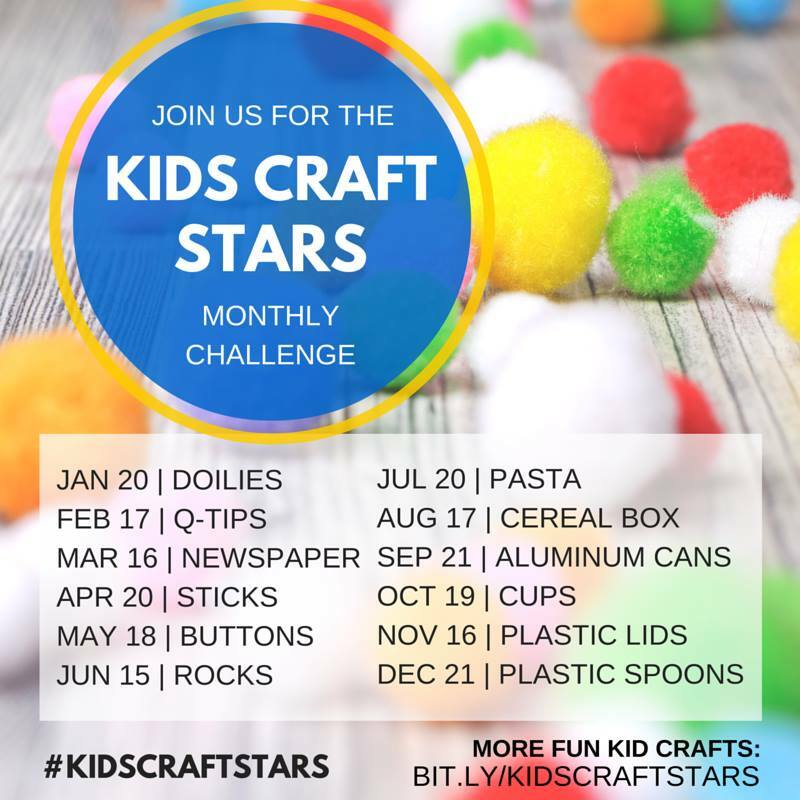 Such a cute kids craft idea! Would love to see you at my craft party which is new Thursdays at 7pm EST. I pin every instruction post! Have a great rest of the week! Hi Teresa, I am so glad you found us on Facebook and felt so inspired to share us with your cousin. That’s so fun that her name is Katie too–I always seem to get along well with other Katies :). Your comment completely made my day. Thanks so much and I hope you have a wonderful day! What brilliant colors–just like the real thing 🙂 We don’t have any doilies but I think I will use coffee filters so we get the beautiful bleeding effects. Thanks for the inspiration! Hi Heather, Coffee filters seem like they should work great! Hope you have fun crafting!